The majority of oil extracted from the Alberta oil sands is processed, diluted, and then sold to the US. The implications that arise from the oil sands production are a litany of health, environmental, and economic concerns. Despite all the implications associated with the oil sands, the provincial and federal governments have continued to support further industrial expansion of this kind. This briefing paper focuses on the issues associated with the oil sands and why it is essential to pursue new policies that further encourage renewable energy development in Canada. I will demonstrate the method by which the government could build a progressive strategy towards green energy growth. Green energy development is beneficial for Canada and its people, as it is based on long-term goals and sustainable energy policies. The Alberta oil sands development is a pressing subject at this time. Currently, the federal government and the oil industry are pushing for the Keystone pipeline that would join the oil sands to the more lucrative markets. The Keystone pipeline has been rejected by many spheres of society, including opposition parties, environmentalists, foreign governments, and scientists. To make the situation more challenging, oil sand growth is expected to expand into the future. An important pipeline, called the Keystone Export Limited (XL) pipeline, connecting Alberta oil sands to refineries on the Texas gulf cost would hasten this process. It is estimated that between 2010 and 2025, more than $379 billion will be invested in oil sands development.1 As a result, oil production is expected to more than double, to roughly 3.7 million barrels a day by 2021.2 With the current debate surrounding the oil sands, this doubling of production will have major implications for Canada and the world. Based on a thorough analysis, I will demonstrate that further oil sands development is potentially devastating to the Canadian wilderness, its waterways, and its inhabitants. Secondly, expansion of the oil sands is risky economics for the Canadian economy and private companies. Thirdly, support for oil sands by the government is politically hazardous, since it demonstrates near-sightedness, contempt for science and the environment, and a lack of concern for the livelihood of populations living in the vicinity. The Alberta oil sands are enormous oil reserves that cover roughly 140,000 square kilometers, or 20% of Alberta’s surface area.3 This space, which is slightly larger than the surface area of England,4 rests under the second largest boreal forest in the world. Boreal forests are recognized as vital components of the natural ecosystem and important carbon capture systems. These forests are home to diverse wildlife, pristine waterways, and over one hundred thousands people.5 The oil in these sands is extracted by two methods, either by surface mining or in-situ mining. The ecological footprint left behind by both extraction methods is astonishing. At an estimated 170 billion barrels of recoverable oil, the Alberta oil sands are the third largest proven oil reserves in the world.15 According to NASA scientist James Hansen, “if Canada proceeds with oil sands development and nothing is done, it will be game over for climate.”16 The federal government has adamantly denied these claims and has maintained steadfast support for further oil sands development. Resource Minister Tony Clement publicly dismissed Hansen’s comments as nonsense. However, as demonstrated in figure 1 below, Hansen was simply crunching the numbers. According to the International Energy Agency, approximately 1.1 trillion (1100 million) barrels of oil have been extracted in the last 150 years, or since the first oil well was operational.17 Since then, a tremendous amount of CO2 has been released into the atmosphere as result of this oil use. If we imagine that all of the oil sands were developed with 3 times the conventional CO2 release, we get a frightening scenario. The amount of CO2 released from the oil sands alone would be more than 45% of all CO2 emissions that have previously been released into the atmosphere from oil consumption in the last 150 years.18 This does not even take into account the effects on Canada’s wilderness, waterways, and people. Al Jazeera witness. Available at: http://www.youtube.com/watch?v=nQrWZzBOCoc/ [Assessed on 02/05/2013]. Alberta Oil Sands Industry Quarterly Update. (2013) reporting on the period: Jan. 18, 2013, to Mar. 14. Available at: http://www.albertacanada.com/files/albertacanada/AOSID_QuarterlyUpdate_Spring2013.pdf/ [Assessed on: 19/04/2013]. Alok, J. (2010). Sun, wind and wave-powered: Europe unites to build renewable energy supergrid. The Guardian, 03 January. Available at: http://www.guardian.co.uk/environment/2010/jan/03/european-unites-renewable-energy-supergrid/ [Assessed on: 05/05/2013]. American Wind Energy Association. (2008). 20% wind energy by 2030: Increasing Wind Energy’sContribution toU.S electricitysupply. Available at: http://www.nrel.gov/docs/fy08osti/41869.pdf/ [Assessed on 05/05/2013]. Chana, G. Reilly, J. Paltsev, Chenbn, H. (2012). The Canadian oil sands industry under carbon constraints. Energy Policy 50 540–550. Climate leadership, economic prosperity (2009). Pembina Institute and David Suzuki Foundation. Available at: http://davidsuzuki.org/publications/reports/2009/climate-leadership-economic-prosperity/ [Assessed on 05/05/2013]. David Suzuki Foundation. Available at: http://www.davidsuzuki.org/blogs/climate-blog/2009/12/a-first-day-fossil-for-canada/ [Assessed on 05/05/2013]. Davidson, D. & Andrews, J. (2013). Not All About Consumption. Science AAAS. 339, pp1286-1287. Economic Impacts of New Oil Sands Projects in Alberta (2010-2035). May 2011. Canadian Energy Research Institute. Study No. 124. Available at: http://www.api.org/aboutoilgas/oilsands/upload/economic_impacts_of_new_oil_sands_projects_alberta.pdf/ [Assessed on 02/05/2013]. Government of Alberta. Alberta Energy, Facts and Statistics. Available at: http://www.energy.alberta.ca/oilsands/791.asp/ [Assessed on: 04/05/2013]. Government of Canada, (2011). Oil Sands; A strategic resource for Canada, North America and the global market. Available at: http://www.nrcan.gc.ca/energy/sites/www.nrcan.gc.ca.energy/files/files/OilSands-EnergySecurityEconomicBenefits_e.pdf/ [Assessed on: 19/04/2013]. International Energy Agency (IEA) and Energy Technology Systems Analysis Programme (ETSAP). (2010). Technology Brief. Available at: http://www.iea-etsap.org/web/E-TechDS/PDF/P02-Uncon%20oil&gas-GS-gct.pdf/ [Assessed on 04/05/2013]. Joe Oliver slams scientist's oilsands claims as 'nonsense'. (2013). CBC News. 24 April. Available at: http://www.cbc.ca/news/politics/story/2013/04/24/joe-oliver-keystone-pipeline-hassen.html?ref=rss/ [Assessed on 29/04/2013]. Jordaan, S. (2012) Land and Water Impacts of Oil Sands Production in Alberta Environmental Science and Technology, 46, 3611−3617. Jordaan, S. M.; Keith, D. W.; Stelfox, B. (2009). Quantifying land use of oil sands production: A life cycle perspective. Environmental Research Letters, 4 024004. Kelly, E. N.; Schindler, D. W.; Hodson, P. V.; Short, J. W.; Radmanovich, R.; Nielson, C. C. (2010) Oil sands development contributes elements toxic at low concentrations to the Athabasca and its tributaries. Proceedings of the National Academy of Science. 2010, 107:16178−16183. Kelly, E., Short, J., Schindler, D., Hodson, P., Maaf, M., Kwana, A., and Fortin, B., (2009). Oil sands development contributes polycyclic aromatic compounds to the Athabasca River and its tributaries. National Academy of Sciences. 106 (52), pp. 22346-22351. Kennedy, M. (2011). Canada pulling out of Kyoto accord. The National Post. 12 December. Available at: http://news.nationalpost.com/2011/12/12/canada-formally-withdrawig-from-kyoto-protocol/ [Assessed on 05/05/2013]. Kureka, J., Kirkb, J., Derek, G., Wangb, X., Marlene S. Evansc, & Smola, J. (2013). Legacy of a half century of Athabasca oil sands development recorded by lake ecosystems. PNAS, 110(5), pp. 1761–1766. National Energy Board, (2011). Canada’s Energy Future: Energy supply and demand projects to 2035. Available at: http://www.neb-one.gc.ca/clf-nsi/rnrgynfmtn/nrgyrprt/nrgyftr/2011/nrgsppldmndprjctn2035-eng.pdf [Assessed on 19/04/2013]. Parks, N. (2010). Oil sands debate heats up in Alberta. Frontiers in Ecology and the Environment, 8(9), pp. 452. Pembina Institute. Oil Sands. Available at: http://www.pembina.org/oil-sands/os101/alberta/ [Assessed on: 02/05/2013]. Price, M. (2013). Canadian Jobs lost to the tar sands. Huffington Post, May 1 2013. Available at http://www.huffingtonpost.ca/matt-price/canadian-oil_b_1180255.html/ [Assessed on: 02/05/2013]. Renewable Energy World. (2010) Available at: http://www.renewableenergyworld.com/rea/news/article/2010/01/samsung-invests-can-7b-in-ontario-wind-and-solar/ [Assessed on 05/05/2013]. Rubin, J. (2013). Globe and Mail. How big is Canada’s oil subsidy to the U.S.? 7 January 2013, Available at: http://www.theglobeandmail.com/report-on-business/industry-news/energy-and-resources/how-big-is-canadas-oil-subsidy-to-the-us/article6994747/ [Assessed on 26/04/2013]. Statistics Canada. (2011) Population and dwelling counts; Population breakdown of northern Alberta. Available at: http://www12.statcan.gc.ca/census-recensement/2011/dp-pd/hlt-fst/index.cfm?Lang=E/ [Assessed on 02/05/2013]. The Impacts of Canadian Oil Sands Development on the United States’ Economy. (2009) Canadian Energy Research Institute. October 2009. Available at: http://www.scribd.com/doc/21296235/CERI-The-Impacts-of-Canadian-Oil-Sands-Development-on-the-United-States%E2%80%99-Economy/ [Assessed on 05/05/2013]. Ulrike, L., Lutz, C., & Edler, D. (2012). Green jobs? Economic impacts of renewable energy in Germany. Energy Policy, 47, pp 358–364. UNDP (2008). Human Development Report 2007/08 p145, available at: http://hdr.undp.org/en/media/HDR_20072008_EN_Complete.pdf/ [Assessed on 19/04/2013]. Weinhold, B. (2011). Alberta’s Oil Sands Hard Evidence, Missing Data, New Promises. Environmental Health Perspectives. 119(3), pp 126-131. Wells, P. & McMahon, T. (2012). How Ottawa runs on oil; Suddenly western money and influence are driving everything that happens in the nation’s capital. Macleans, 23 March. Available from: http://www2.macleans.ca/2012/03/23/oil-power/ [Assessed April 15 2013]. World Energy Outlook (2008). International Energy Agency. Available at: http://www.worldenergyoutlook.org/media/weowebsite/2008-1994/weo2008.pdf/ [Assessed on 29/04/2013]. Wustenhagen, R. & Bilharz, M. (2006). Green energy market development in Germany: effective public policy and emerging customer demand. Energy Policy 34, pp 1681–1696. WWF & The Co-operative Bank Insurance Investments (2008). 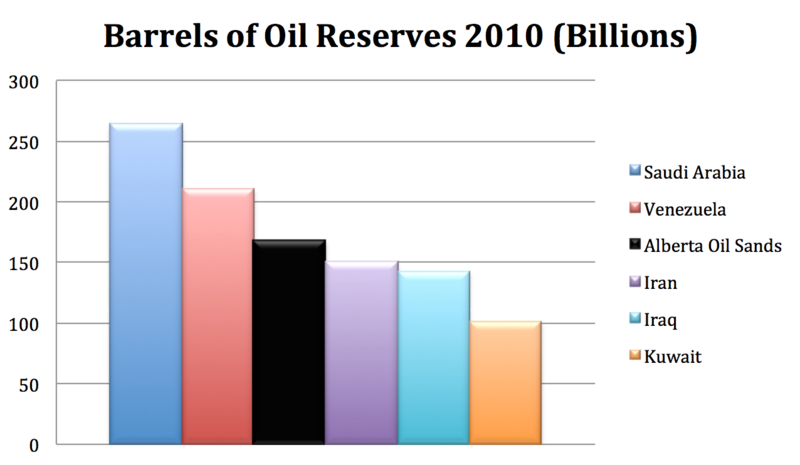 Unconventional Oil; Scraping the bottom of the barrel. World Wildlife Federation report: Available at: http://wwf.panda.org/?unewsid=142161#/ [Assessed on 02/02/2013]. Yergin, D. & Burkhard, J. (2008). Break Point Revisited: CERA's $120-$150 Oil Scenario. IHS CERA. Available at: http://www.ihs.com/products/cera/energy-report.aspx?id=106591829/ [Assessed on: 19/04/2013]. Yergin, D., Burkhard, J., & Kadakia, R. (2008) Ratcheting Down: Oil and the Global Credit Crisis. HIS CERA. Available at: http://www.ihs.com/products/cera/energy-report.aspx?ID=106591844&pu=1&rd=cera_com/ [Assessed on: 19/04/2013]. 1.) 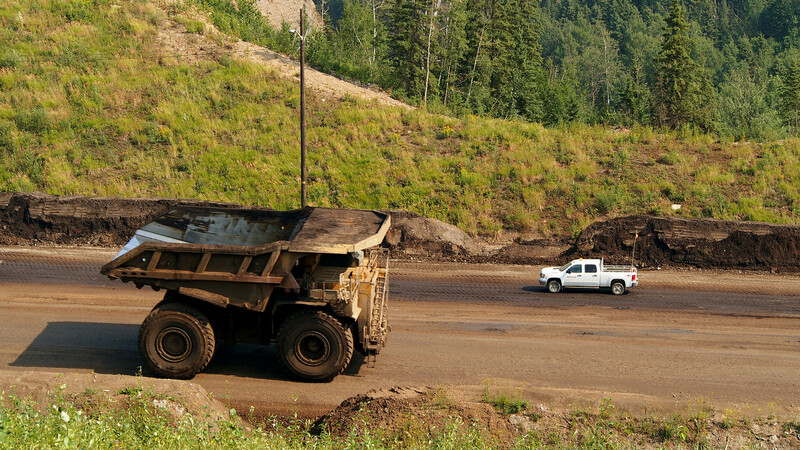 The Impacts of Canadian Oil Sands Development on the United States’ Economy. (2009) Canadian Energy Research Institute. Pp. vii. 2.) Government of Alberta. Alberta Energy, Facts and Statistics. Available at: http://www.energy.alberta.ca/oilsands/791.asp/ [Assessed on: 04/05/2013]. 3.) Jordaan, S. M.; Keith, D. W.; Stelfox, B. (2009). Quantifying land use of oil sands production: A life cycle perspective. Environmental Research Letters, 4 024004. 6.) Government of Alberta. Alberta Energy, Oil Sands. Available at: http://www.energy.alberta.ca/ourbusiness/oilsands.asp. 9.) Chana, G. Reilly, J. Paltsev, Chenbn, H. (2012). The Canadian oil sands industry under carbon constraints. Energy Policy 50, p541. 10.) Alberta’s total greenhouse gas emissions in 2008 were 244 megatonnes of CO2 equivalent. (Environment Canada, “National Inventory Report -Part 3 1990-2008 Greenhouse Gas Sources and Sinks in Canada”) Alberta’s population in 2008 was estimated to be 3.51 million people. (Alberta Finance, Alberta Population Report, 2008). 24.) Parks, N. (2010). Oil sands debate heats up in Alberta. Frontiers in Ecology and the Environment, 8(9), pp. 452. 26.) See: Kelly, E., Short, J., Schindler, D., Hodson, P., Maaf, M., Kwana, A., and Fortin, B., (2009). Oil sands development contributes polycyclic aromatic compounds to the Athabasca River and its tributaries. National Academy of Sciences. 106 (52), pp. 22346-22351 & Kureka, J., Kirkb, J., Derek, G., Wangb, X., Marlene S. Evansc, & Smola, J. (2013). Legacy of a half century of Athabasca oil sands development recorded by lake ecosystems. PNAS, 110(5), pp. 1761–1766. 27.) Parks, N. (2010). Oil sands debate heats up in Alberta. Frontiers in Ecology and the Environment, 8(9), pp. 452. 33.) The Impacts of Canadian Oil Sands Development on the United States’ Economy. (2009) Canadian Energy Research Institute. Pp. vii. 41.) Wustenhagen, R. & Bilharz, M. (2006). Green energy market development in Germany: effective public policy and emerging customer demand. Energy Policy 34, pp 1681–1696.